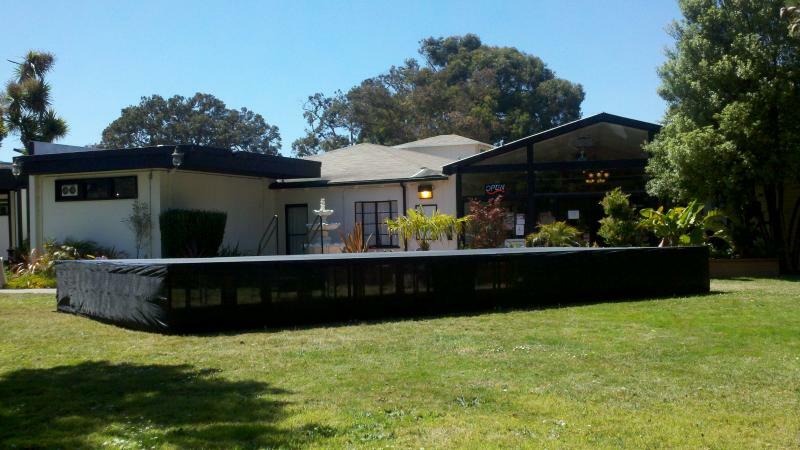 Professional Staging rentals, risers, stage platforms, chior risers, seated risers, ADA Ramps, stair units, ﻿ safety rails, rented and installed around the san francisco bay area. 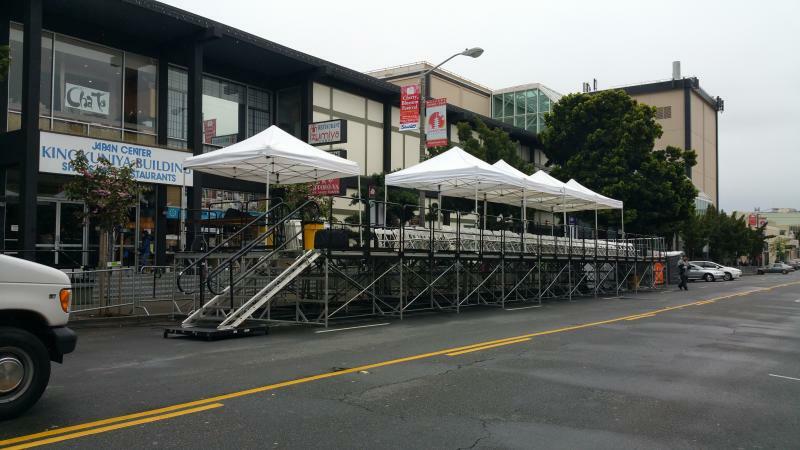 Professional Engineered Interlocking modular staging and risers for events. 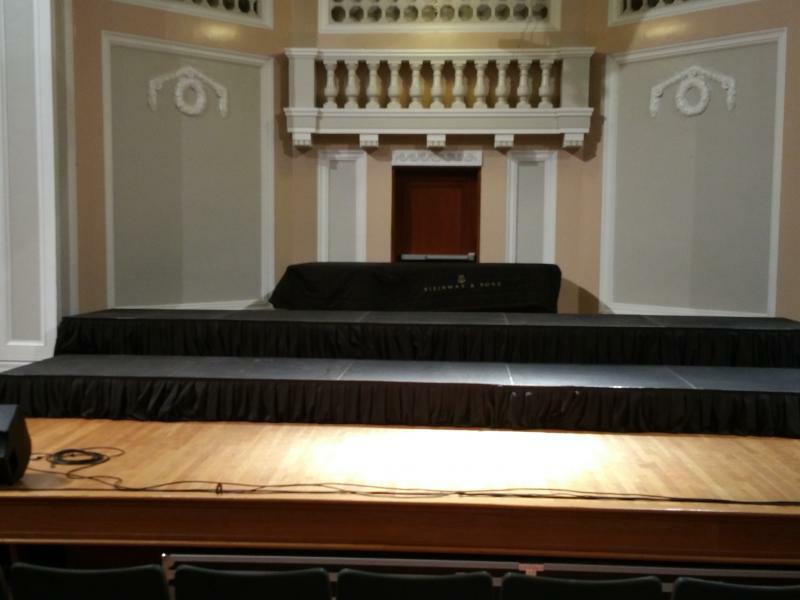 Offering stage heights from 4 inches - 120 inches. Stair units and safety rails available. we offer in store rental (will call) pick ups. 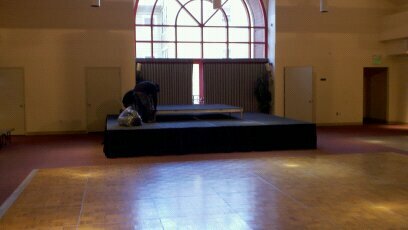 small or large stage's "we do it all"
and we also offer delivery with set up. 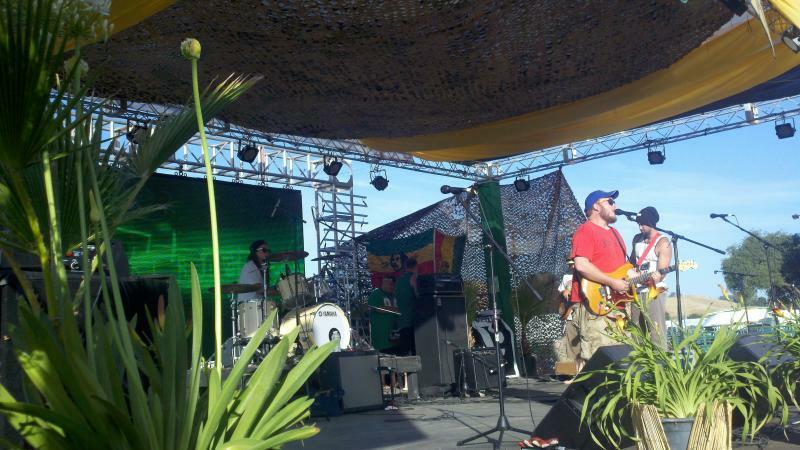 Stage, Lights and Sound Rents staging by the industry leader in portable staging, Staging Concepts. 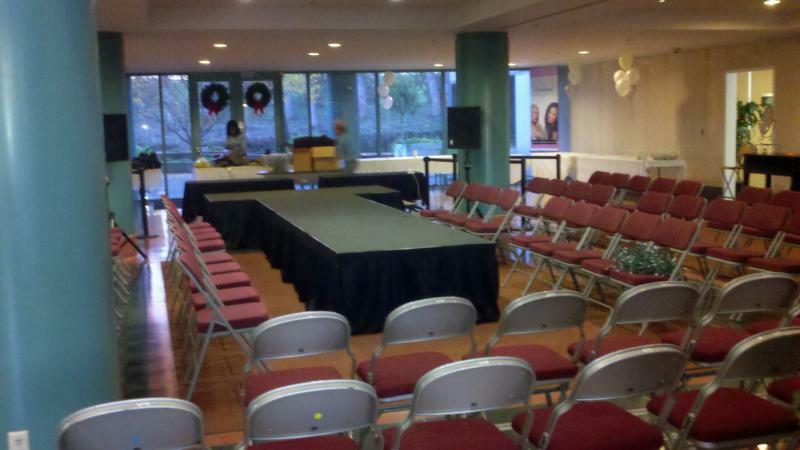 Providing superior staging rentals for facilities and venues with custom needs. 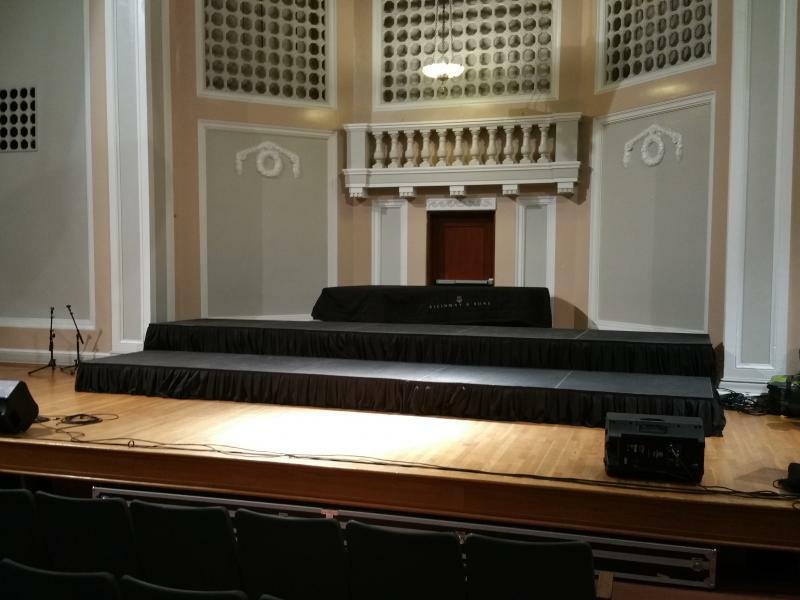 We rent portable platforms, guardrails, stair units, or barricades, indoor or outdoor stage rental, stage ramps, stage handrails, stage risers, stage platforms, multi level stage, seated risers, choir risers, stage risers. 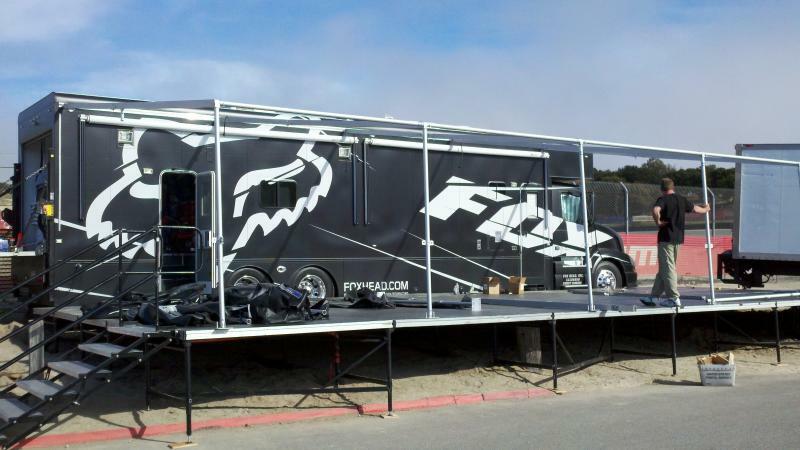 we custom build to suit your rental needs! We get the job DONE! 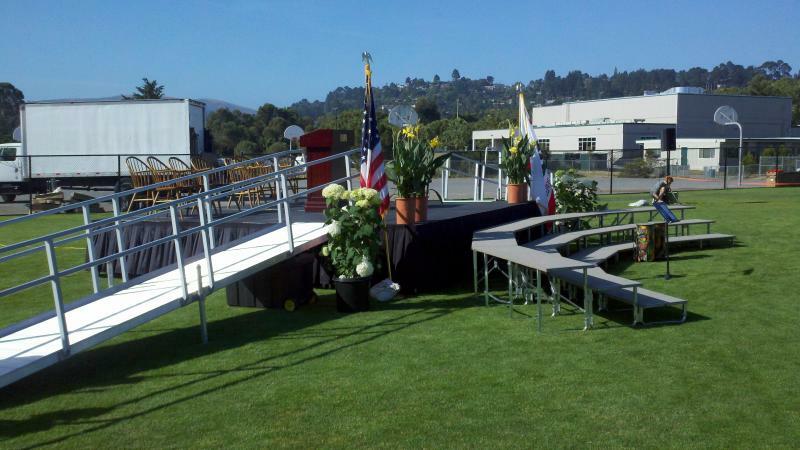 Stage ramp rentals and custom built ramps for any and all occasions. 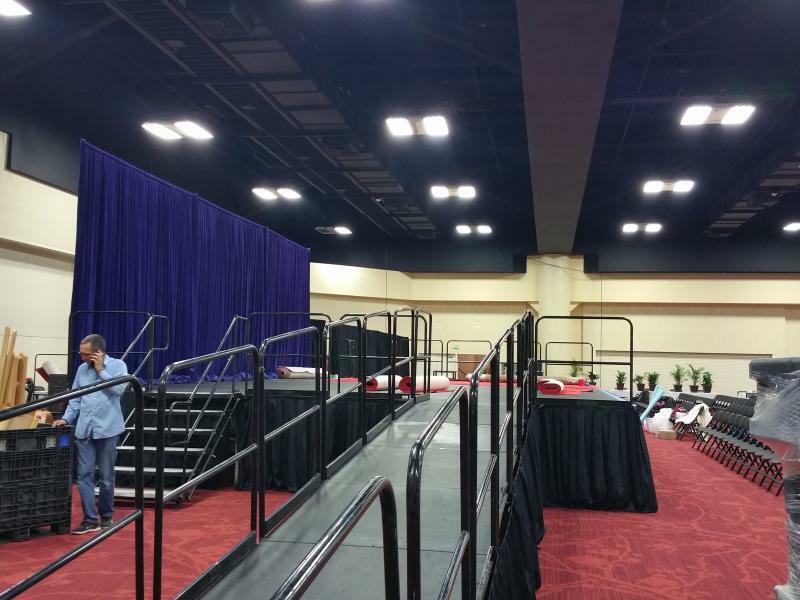 Lots of photos below to look at different types of stage jobs. 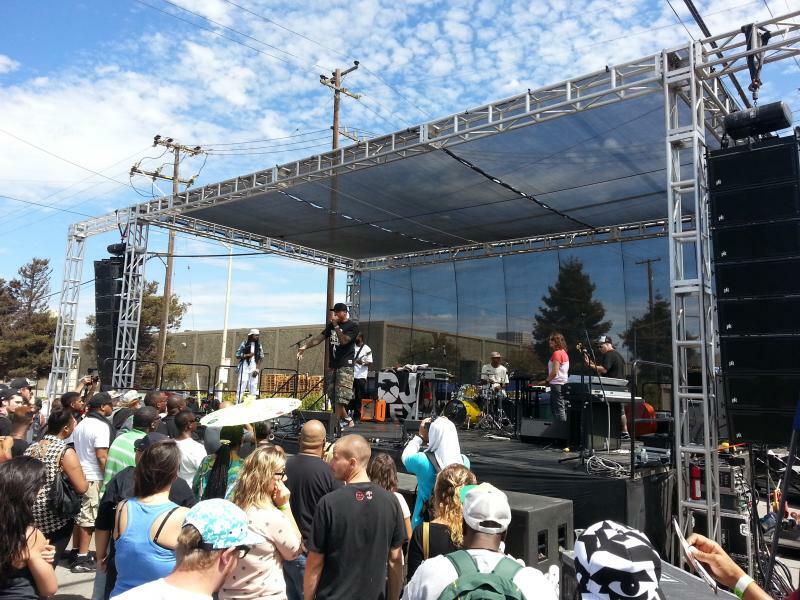 We build our stage's from 4 ft x 8 ft stage platforms or 4 ft x 4 ft stage decks. 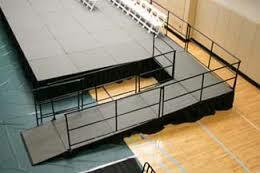 We build stage ramps at custom sizes with handrails. 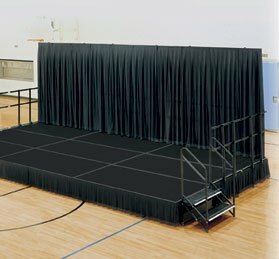 rental, delivery and installation of portable stage, stage risers, stage platforms, cat walks, runways, small to large concert stage's. 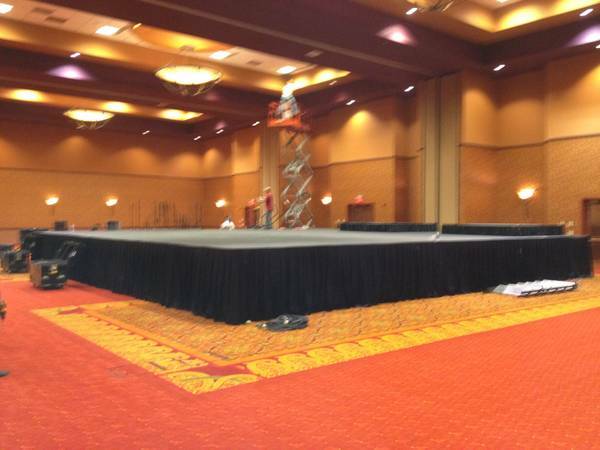 custom stages at various heights, widths & dimensions for events﻿. 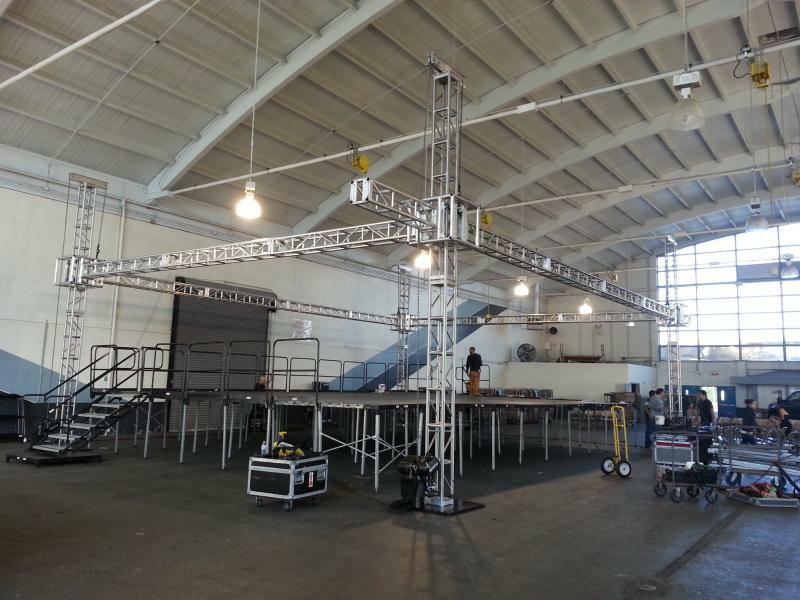 staging concepts stage decks are Interlocking modular stage platforms that have the ability to cam lock all 4 sides. 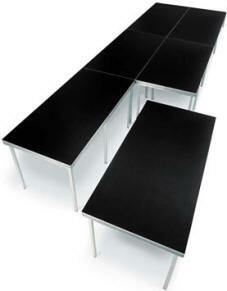 The SC90 Platform is the cornerstone of Staging Concepts’ equipment line. It is well known for its strength, versatility and durability, constructed of a patented aluminum extruded frame combined with a 1-inch thick plywood substrate with an aluminum backer. 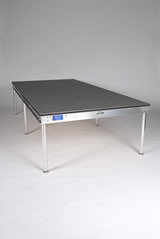 The aluminum backer provides a Class A fire rating for the platform. 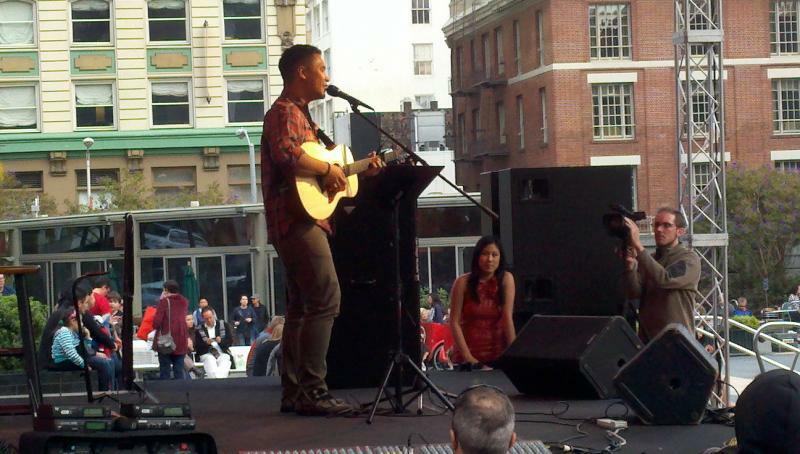 stage rental san francisco﻿ or lighting rental san francisco we have your rentals covered! 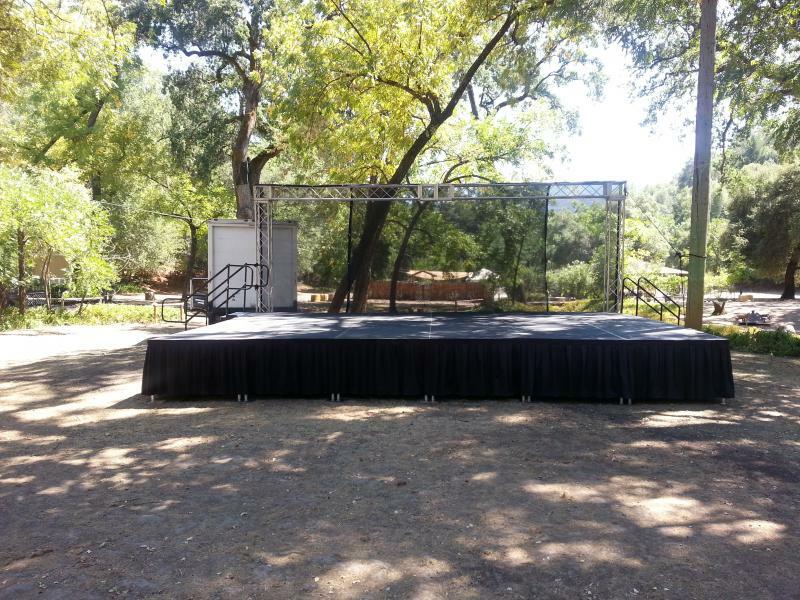 Our Rental Department maintains a comprehensive inventory of portable stage decks, theatrical lighting, LED, exterior and special effect lighting, rigging, trussing and power distribution﻿ for your stage. 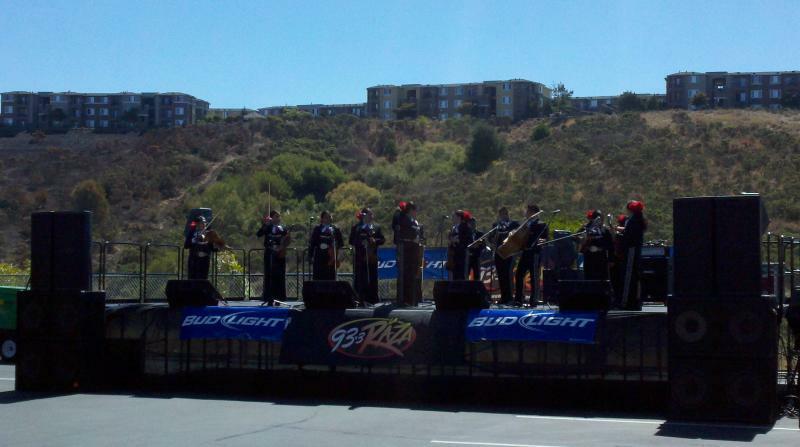 below are some photos to give you some ides of what we can do for your event. 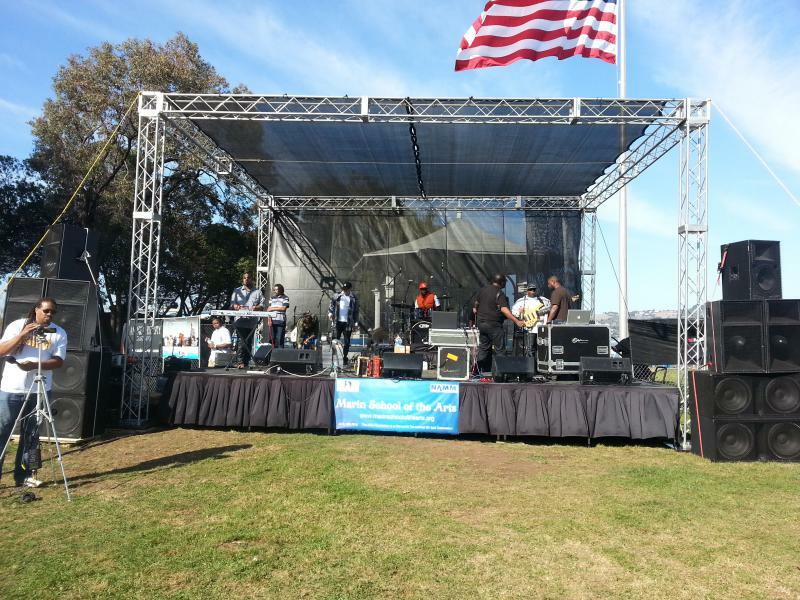 Stage Lights and Sound rents the San Francisco bay area concert staging and roofs, event stages, mobile stage, Platforms, ADA stage ramps, rooftops, catwalk stages, runway stages, round stage rental, risers, dance floors, stage platforms at affordable rates. Need a backdrop? 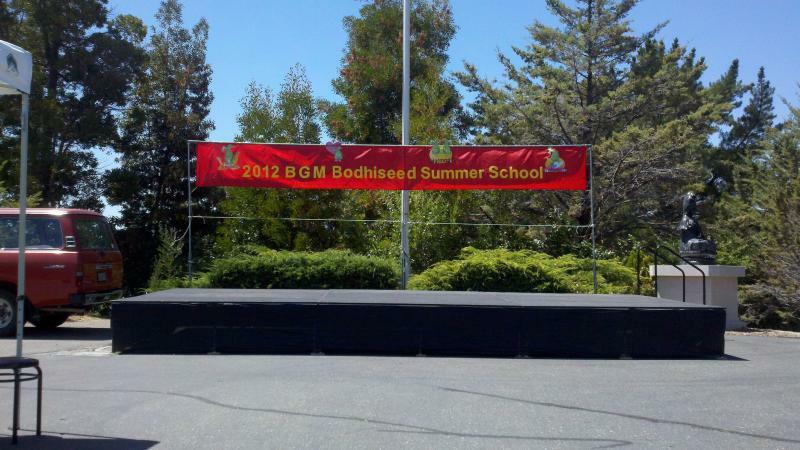 We have rental backdrops for our stages or we can custom design a backdrop with your logo or graphics to be hung on our stage. 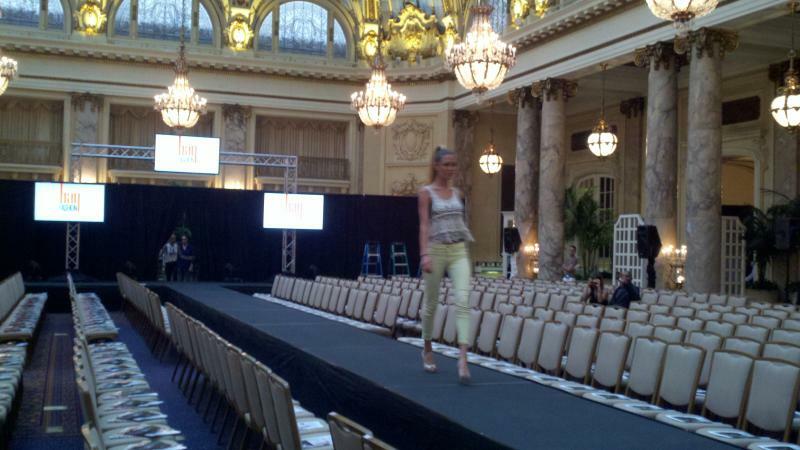 Custom stages & tops are built to accomodate your event! 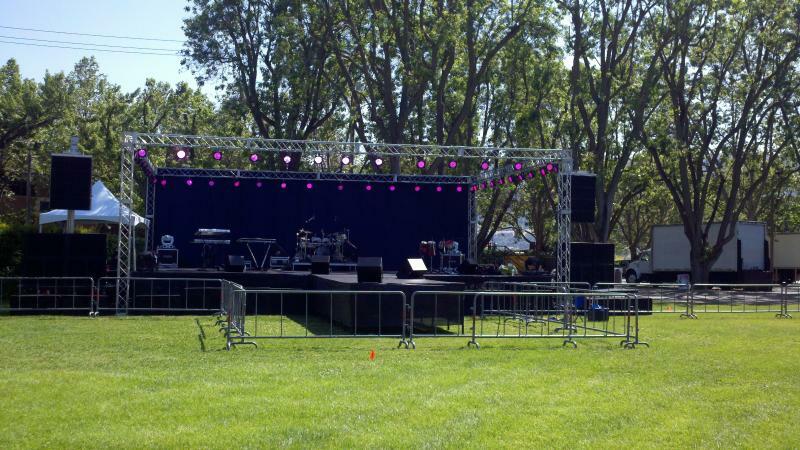 Stage Lights and Sound rents stage and entertainment equipment for all types of occasions. Contact us for your staging needs! 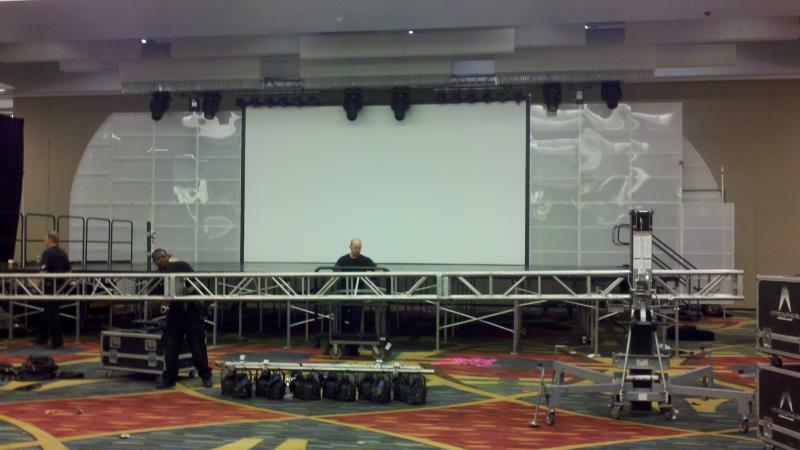 We deliver and install Staging, Risers and Platforms﻿ at your event. 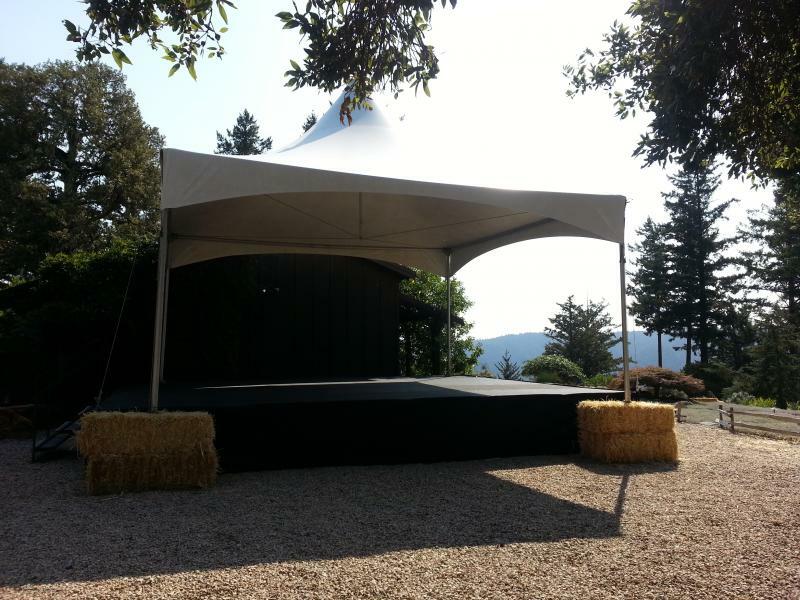 Need a roof top over the stage? 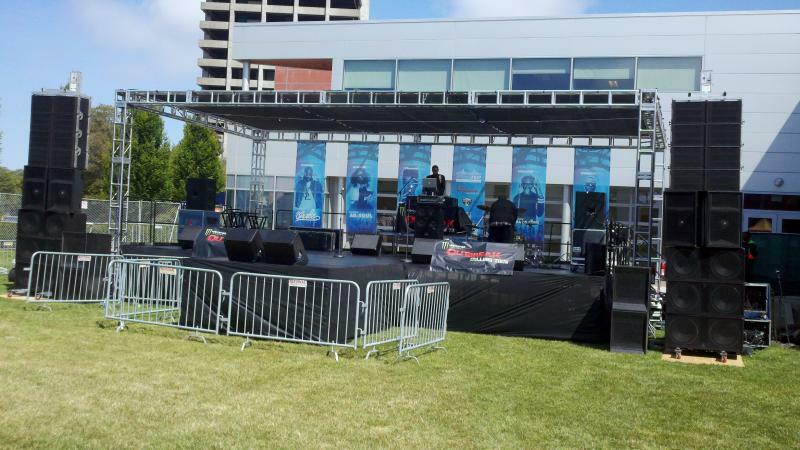 How about power for your event? 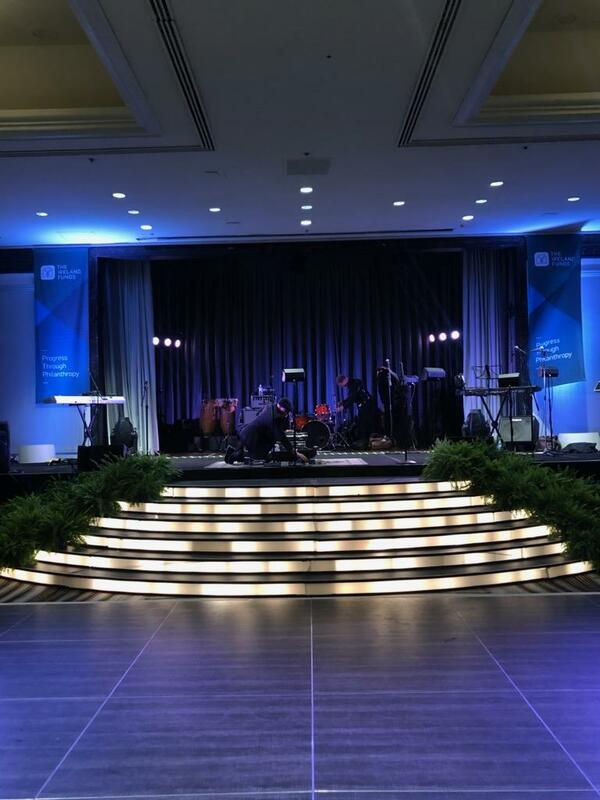 If your event is at night, do you need lighting? 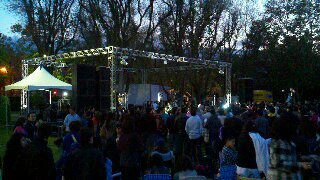 We rent and install event lighting. 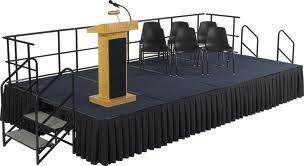 Please feel free to contact us regarding the stage you need. 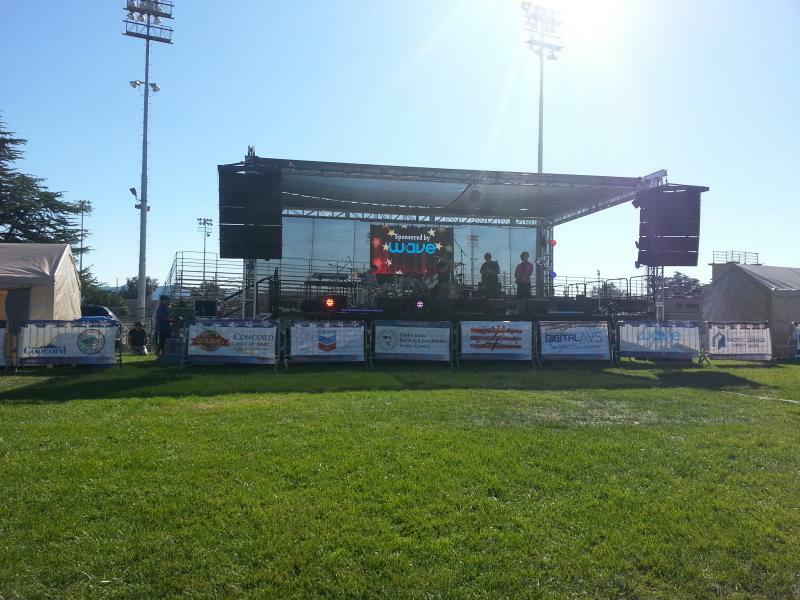 Stage Lights & Sound is a professional mobile stage company that builds any size custom stage for concerts, street fairs, fashion shows, private parties. 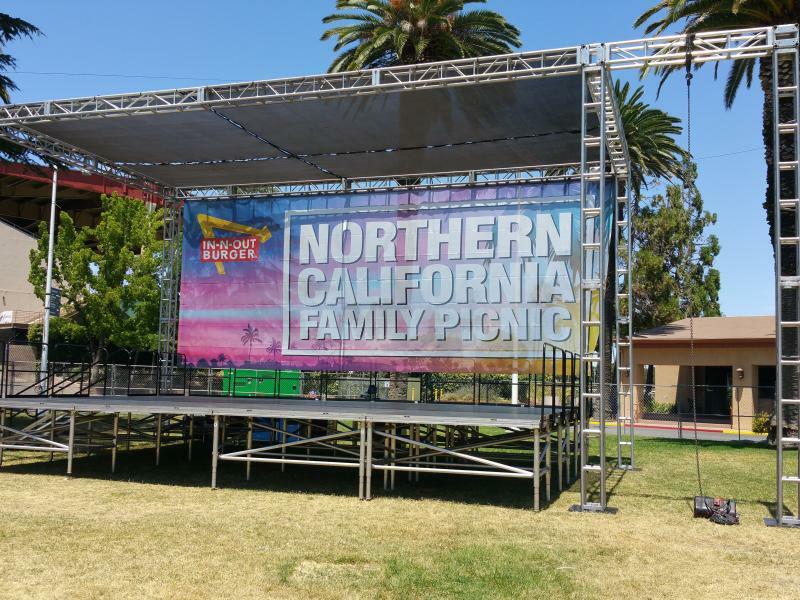 If your throwing an event that requires staging, PA rental or stage lights, event tents, Audio-Video in the San Francisco, Oakland, Berkeley, San Jose, Santa Rosa, San Rafael, Sausalito, Napa, Fairfield, Sacramento area, call us 415-652-0080. 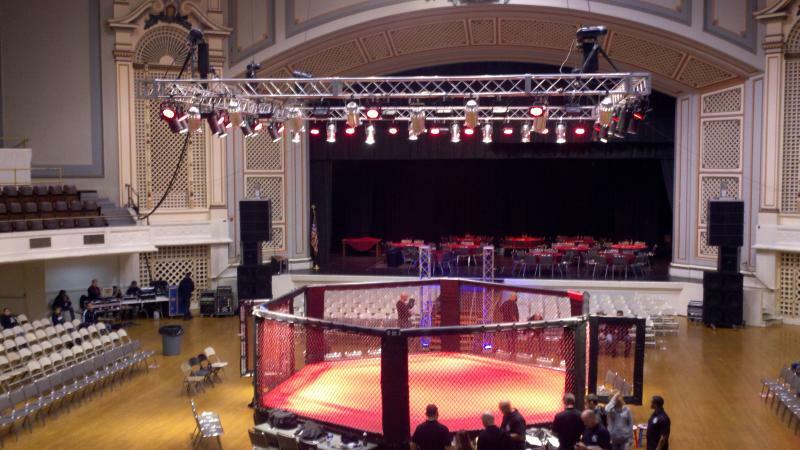 Let us build an event rental package that works for your budget! 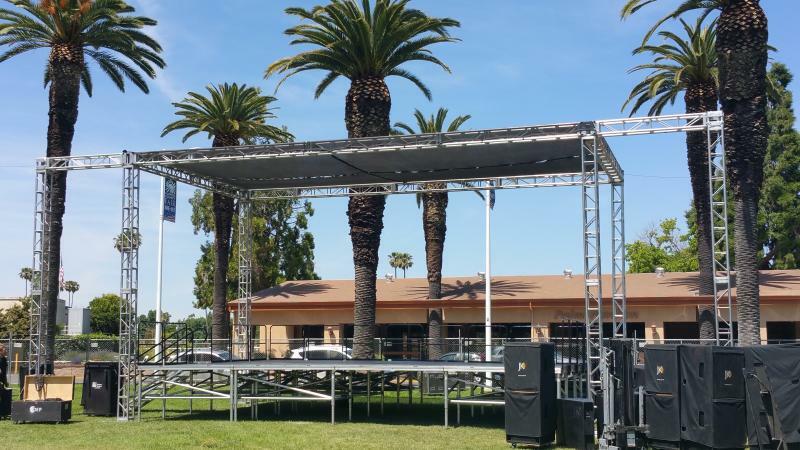 Stage, Lights and Sound can deliver and install a stage package that includes stage to your dimensions, backdrop, stage top that will keep the direct sun off your musicians, stage power for the large power demands. 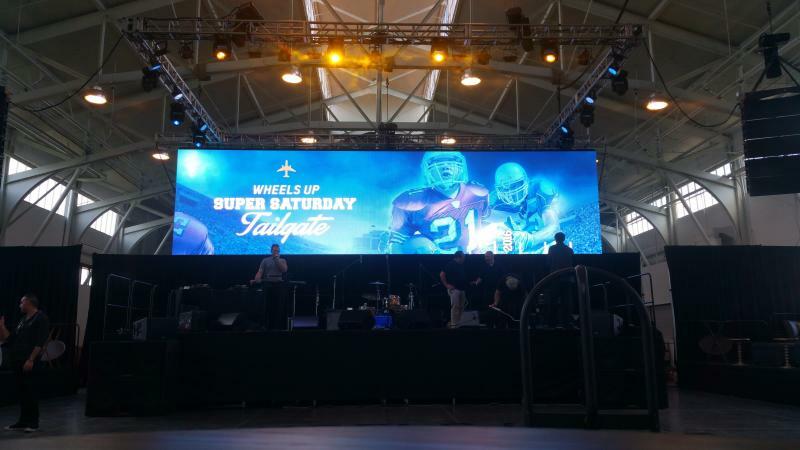 install or fly a sound system, as well as offering you a LED video wall that can be seen during the daylight. 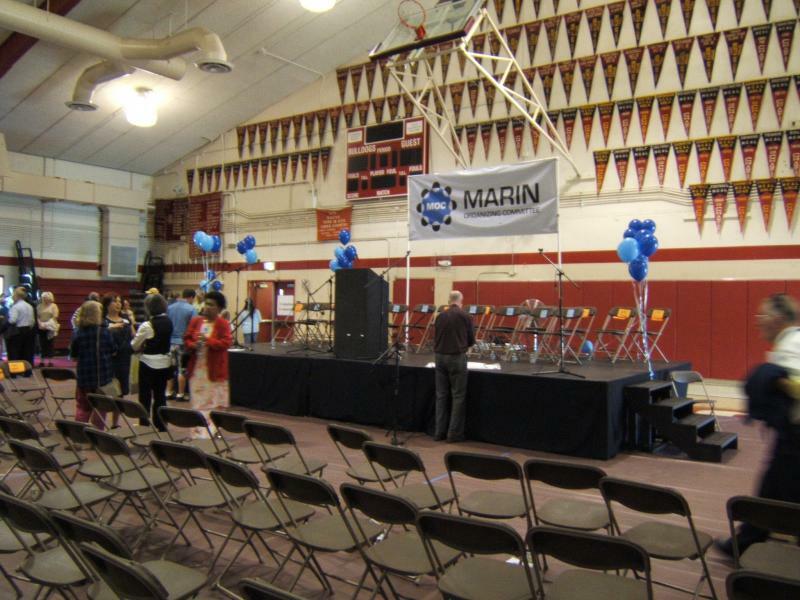 rental of platforms, risers, stage decks, stair units, hand rails, trussing available for ﻿the san francisco bay area. 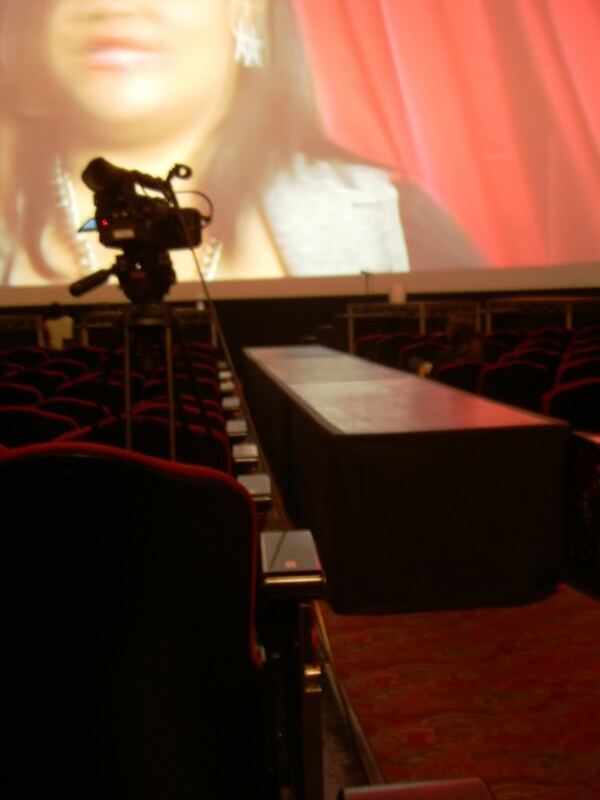 Over 32 inches high we charge extra as stage handrails are required. 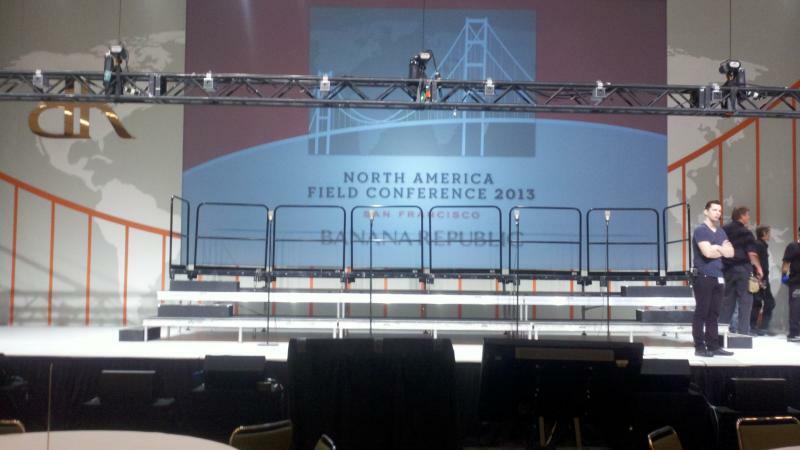 our stage platforms can be configured in many sizes and heights. 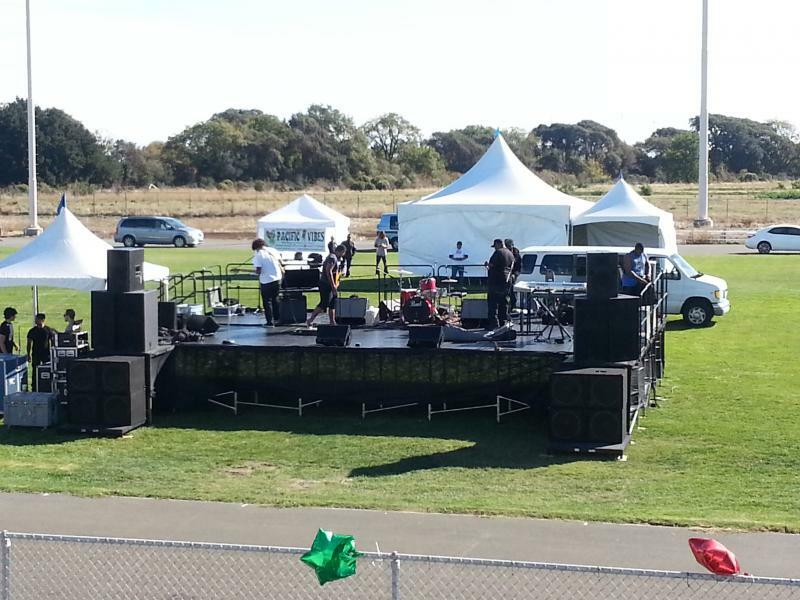 "Your 1 stop shop to event production"
What size stage for a band? 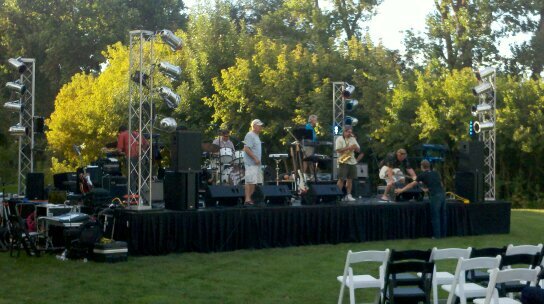 What size stage do I need to rent to accomodate the band? This is one of the most common questions we are asked by clients and event professionals. 1. 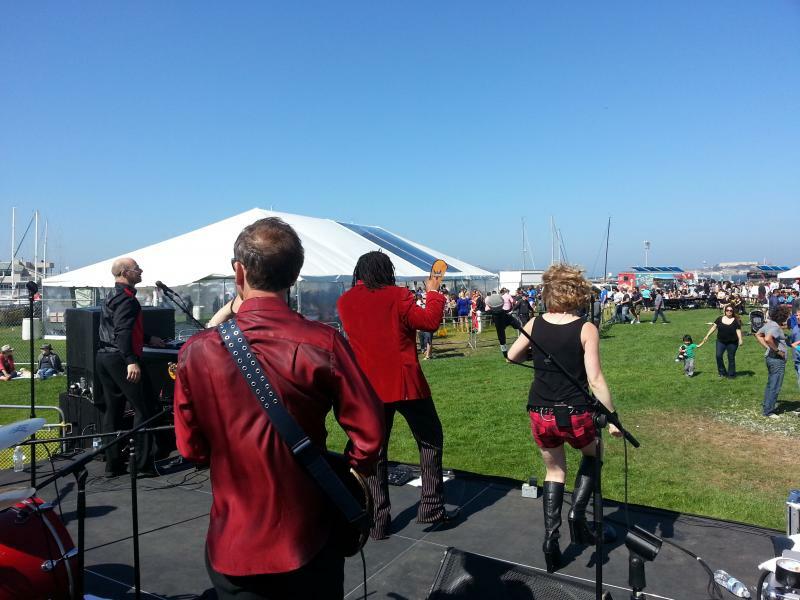 Always check with the band as many bands will have stage size requirements written into their performance contract or rider agreement. 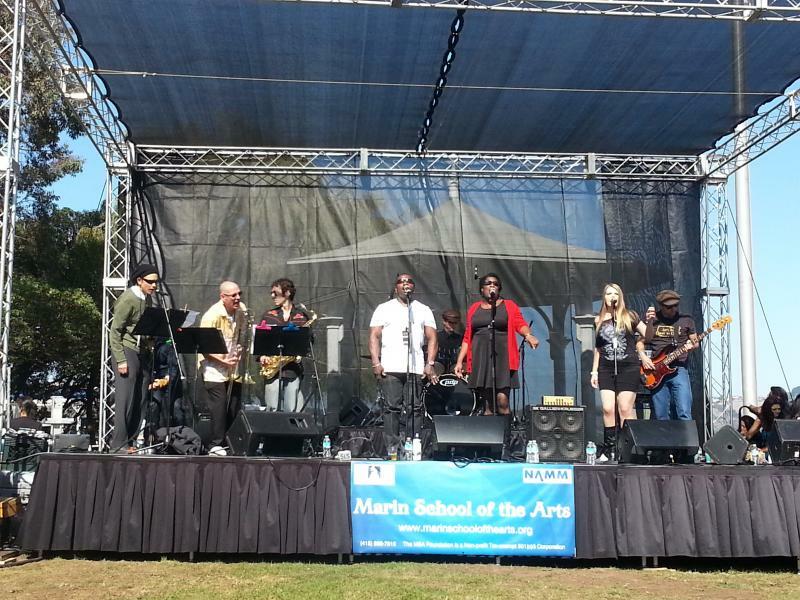 Many bands have a preferred stage size but are able to perform on a small stage if room size doesn't allow for their preferred size. 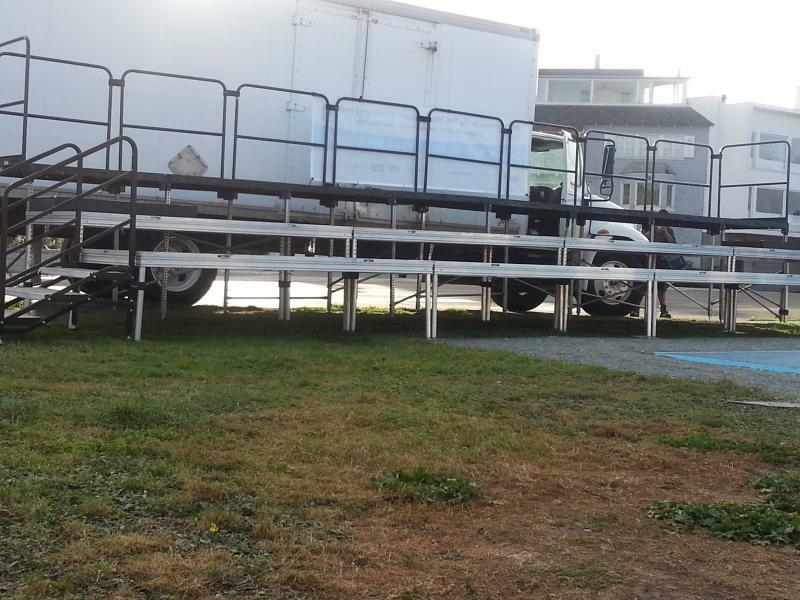 Most bands will require a stage to be a minimum of 12' deep in order to accomodate equipment. 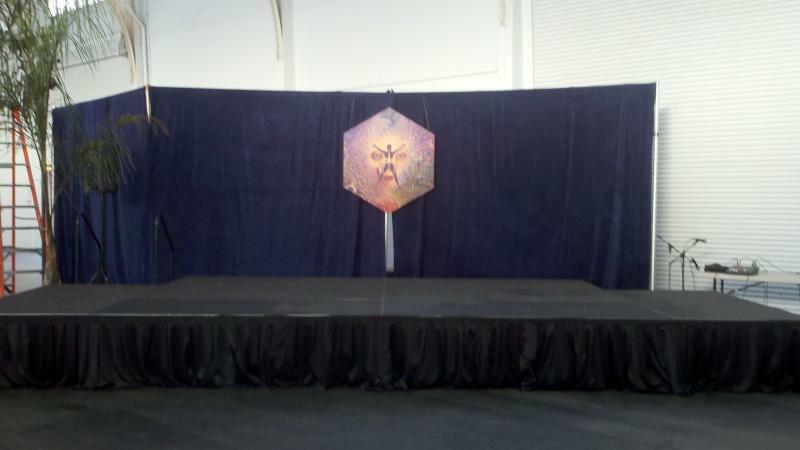 Stage photos below. 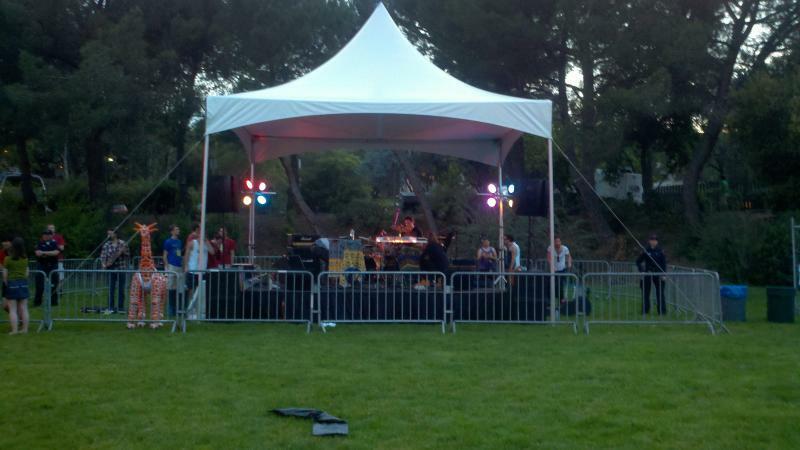 We also rent roof tops, backdrops, dance floors, truss, tents and event power! 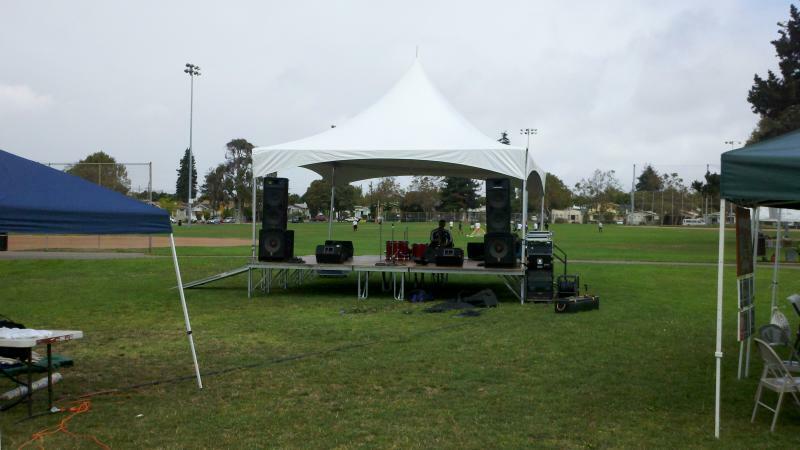 If you need to rent a portable stage or rent a concert stage, stage, lights and sound has you covered. 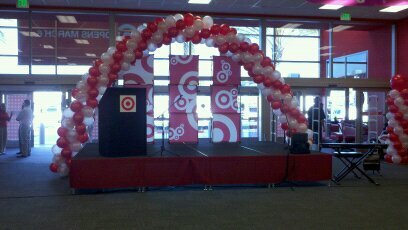 Large or small staging delivered and installed at your event. 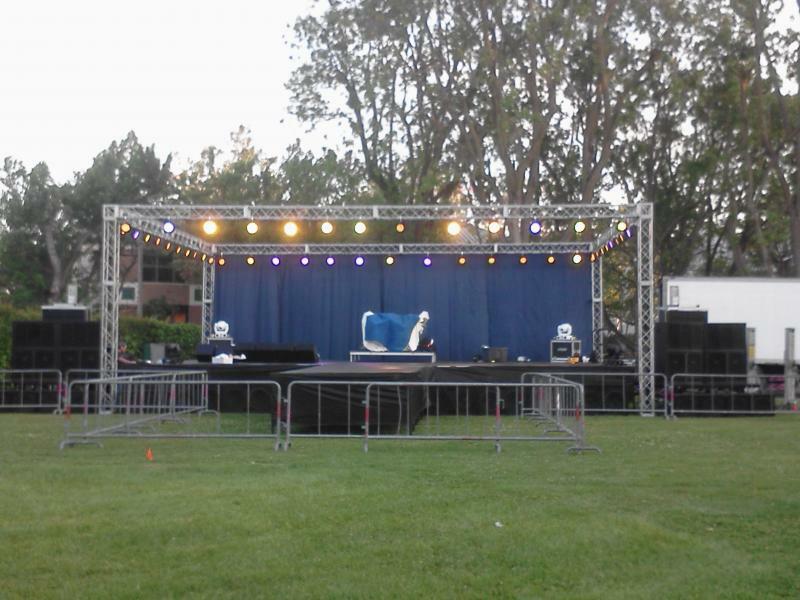 Stage equipment and lighting as well as power generation and pa euipment, we can handle it all! 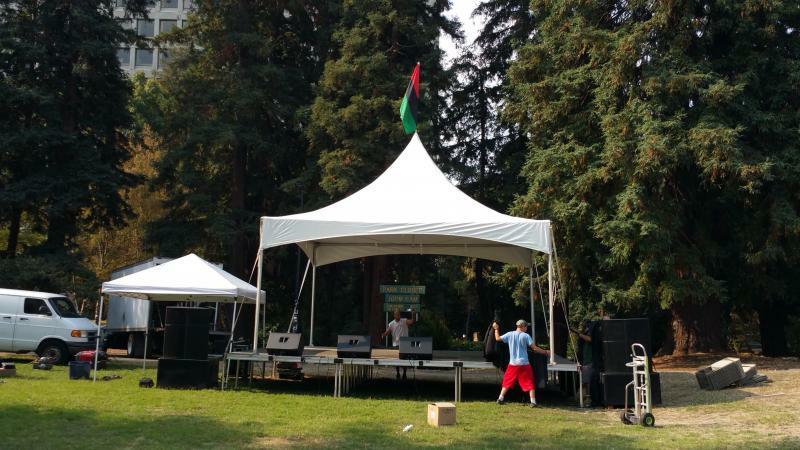 In Northern California offering Stage Rental with shade tops, roof tops or concert roof tops, Sound Wings, Shade Tops & Backdrops. 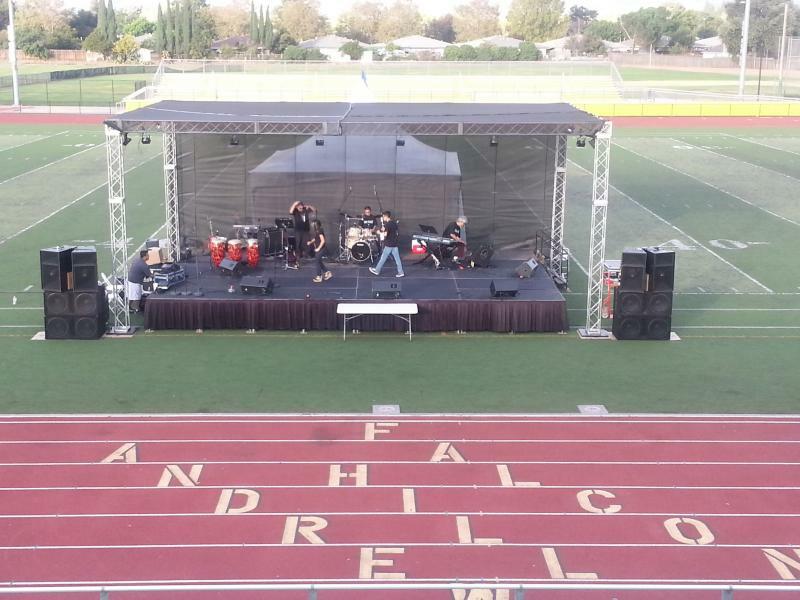 We can install a complete system with Power, Stage, roof top, sound wings, backdrop, shade top, line array sound system and Lighting, optional led video wall. Stage safety rails available. 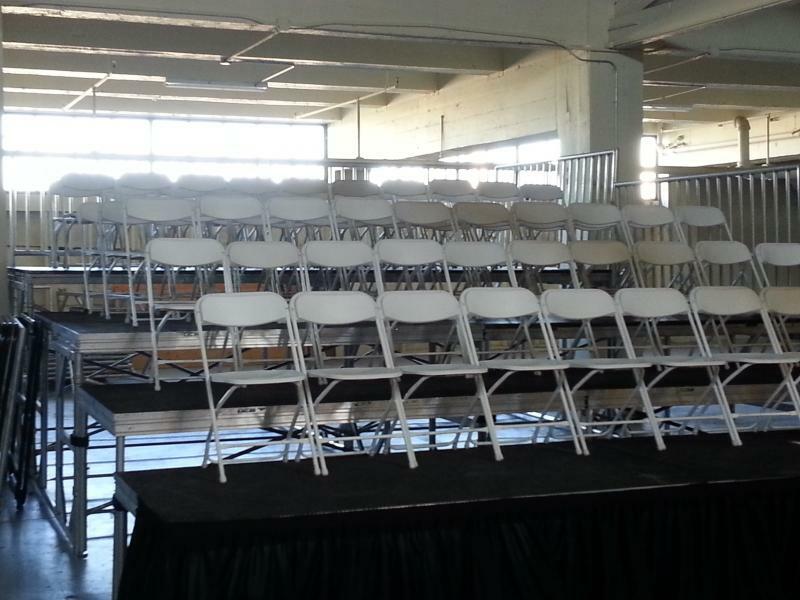 Richmond stage rental. 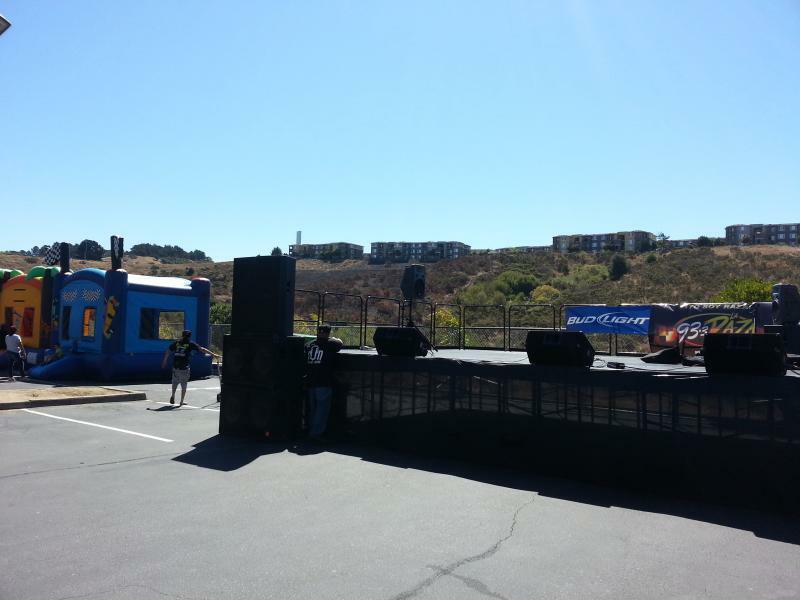 Our stage and riser rentals are available for pick up or delivery to the eastbay, northbay, southbay and peninsula. 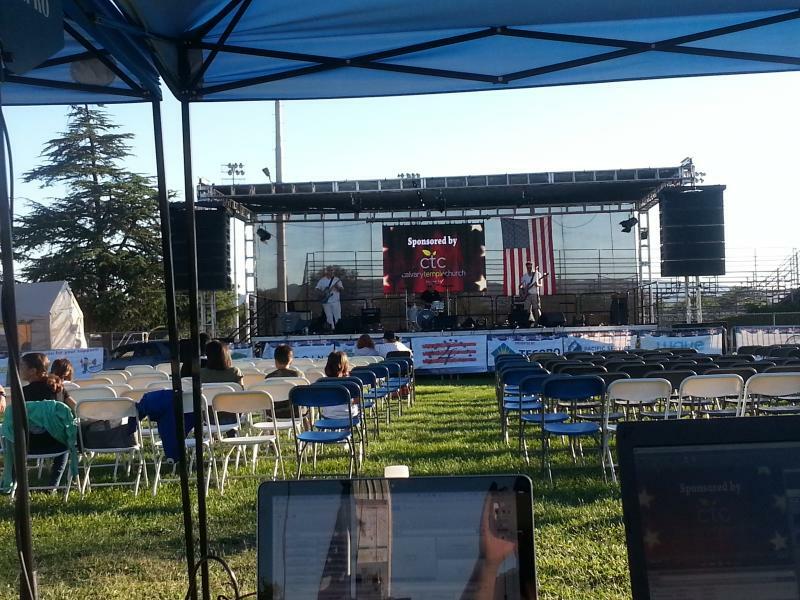 we can build truss with lights over the stage, we can bring portable power for your event, or if you have power we can tie in our cables and provide power distros and socapex cables. 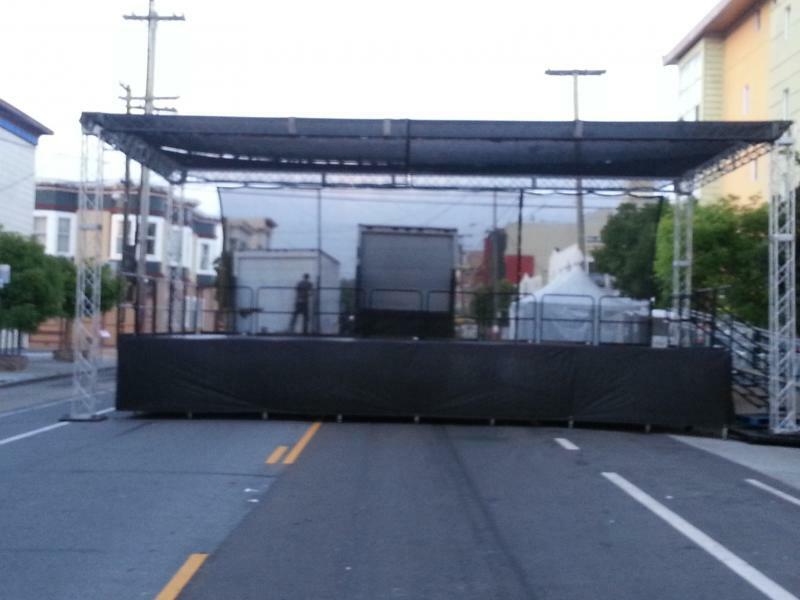 we aslo rent tents and canopies for street fairs and outdoor events. 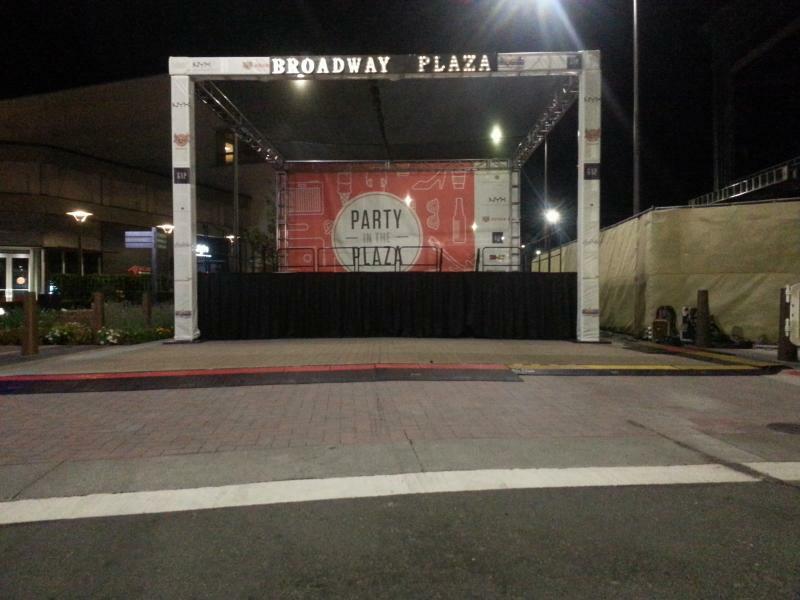 we use 4 ft x 4 ft or 4 ft x 8 ft stage panels to build our portable stage rentals. 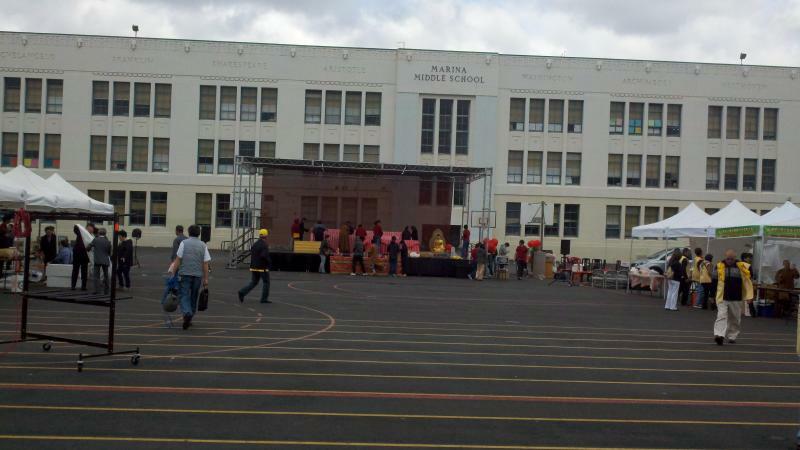 we can build many different stage configurations and stage heights. 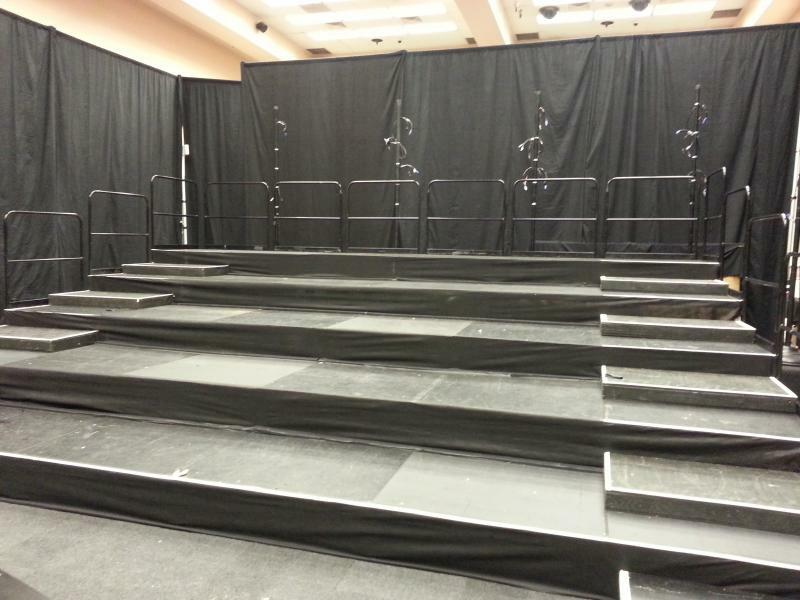 we also have stage ramps, stage handrails or safety rails for our stage rentals. 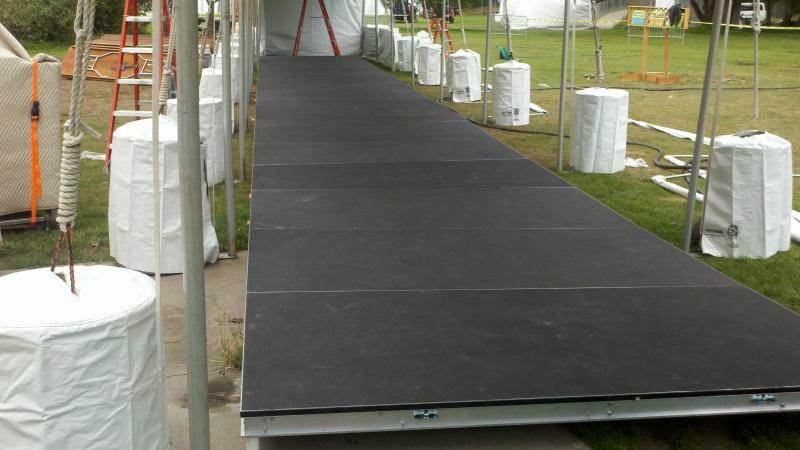 Stage, Lights and Sound rents and installs portable stage and stage ramps or ADA compliant ramps for our stage's. Need a backdrop, we have backdrops to install on our stage's or we can build custom backdrops with logo and sponsorships on the backdrop. 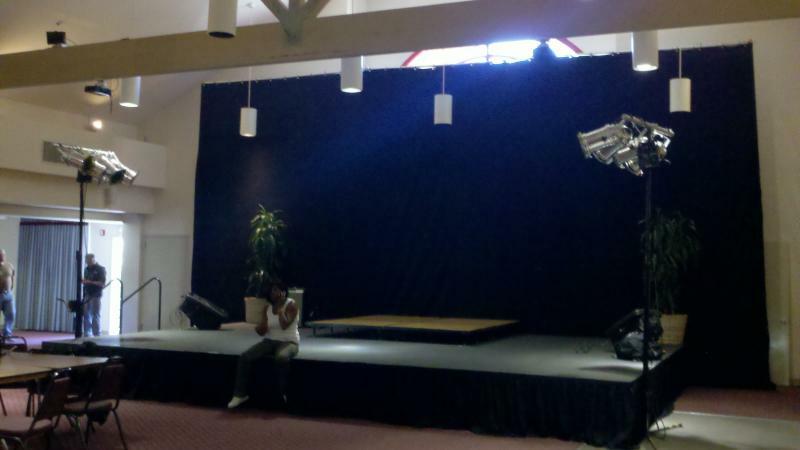 Stage, Lights and Sound can custom build a stage for your event. 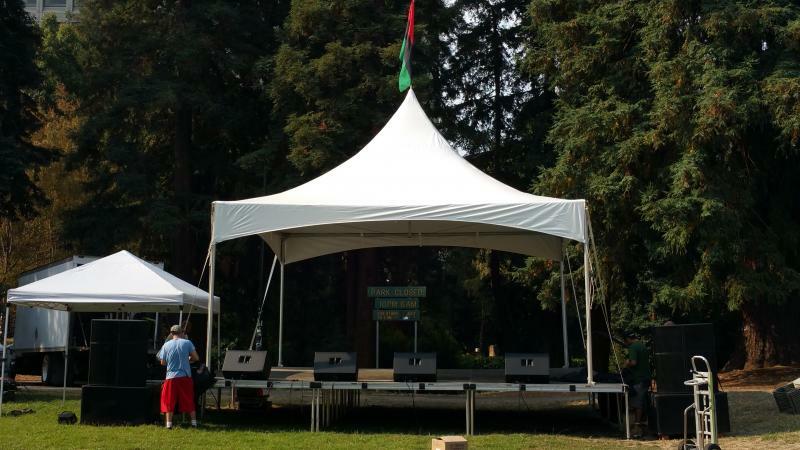 Stage, Lights and Sound offers Tents & Canopies. We can install a canopie over the top of some stages, ASK. 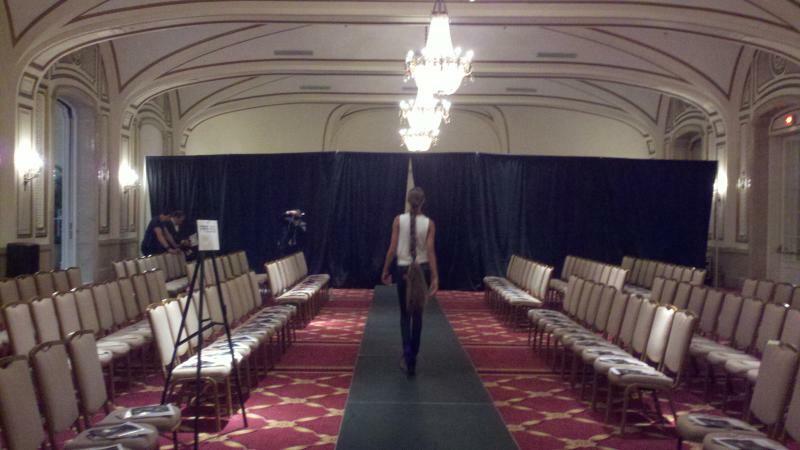 Fashion runway rentals, we can build any size runway you require! 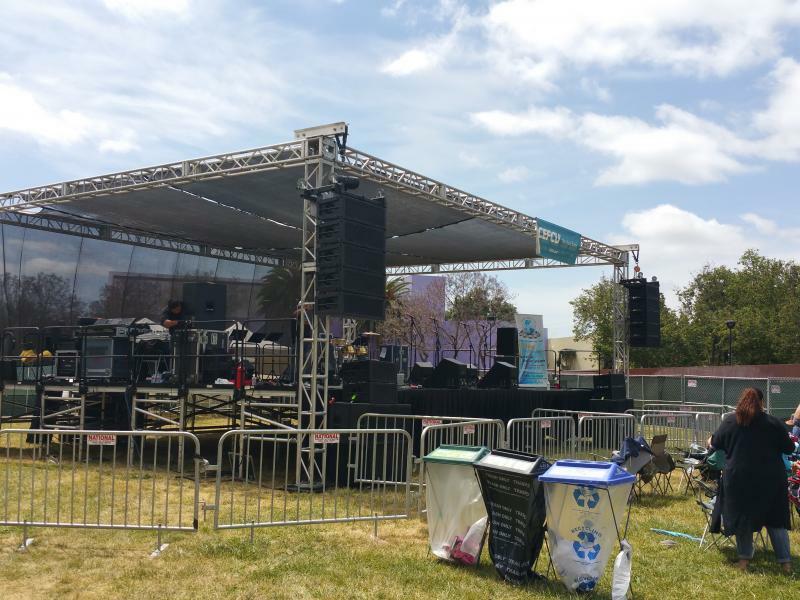 From a small stage rental to a large concert stage rental, square stage to round stage, Stage, Lights & Sound has you covered. 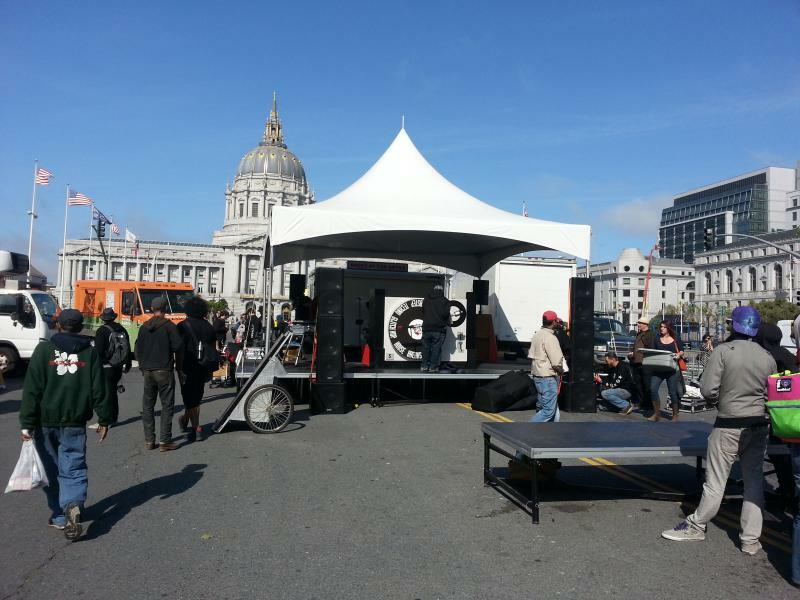 San Francisco-Oakland-San Jose Stage rental, Riser rental & platform rentals. 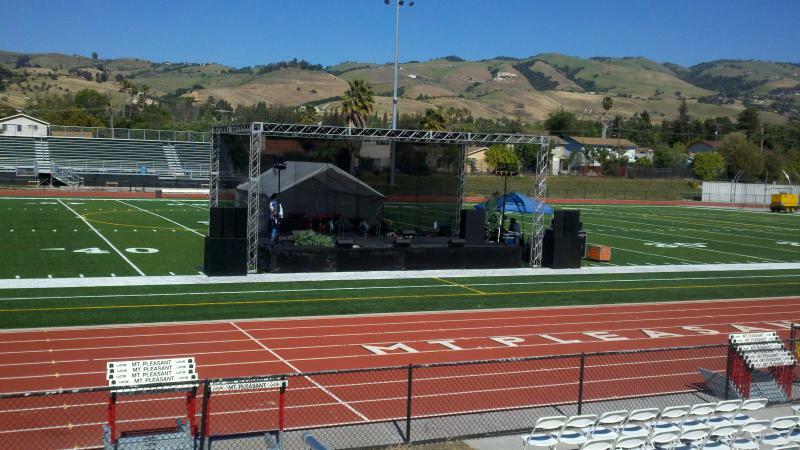 We rent stage ramps & ADA stage ramps. 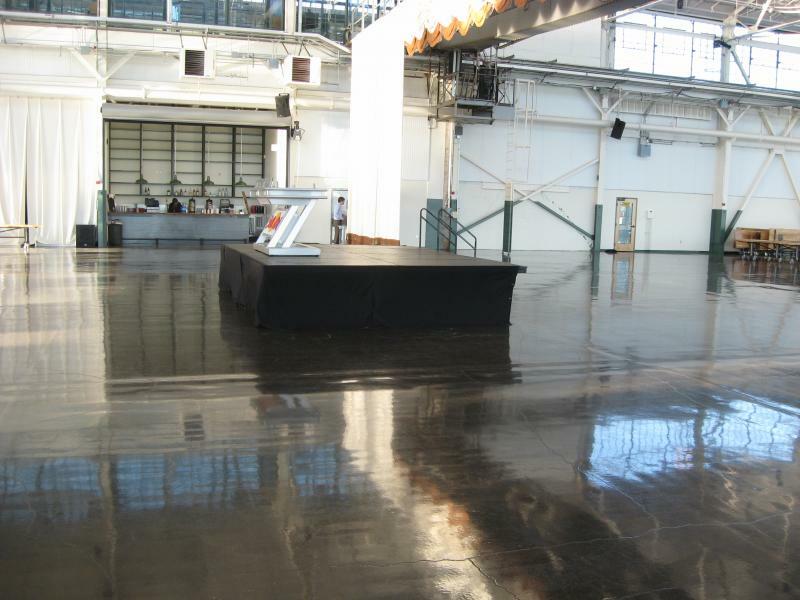 San Francisco bay area Stage Rental includes a set of stairs, skirting, labor, delivery, set-up & removal. 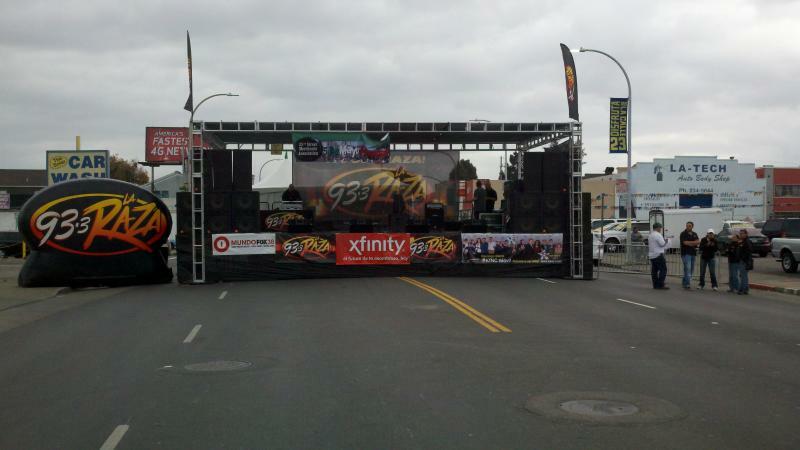 We can rent, set up and install your Pro concert stage, riser or platform around your schedule. 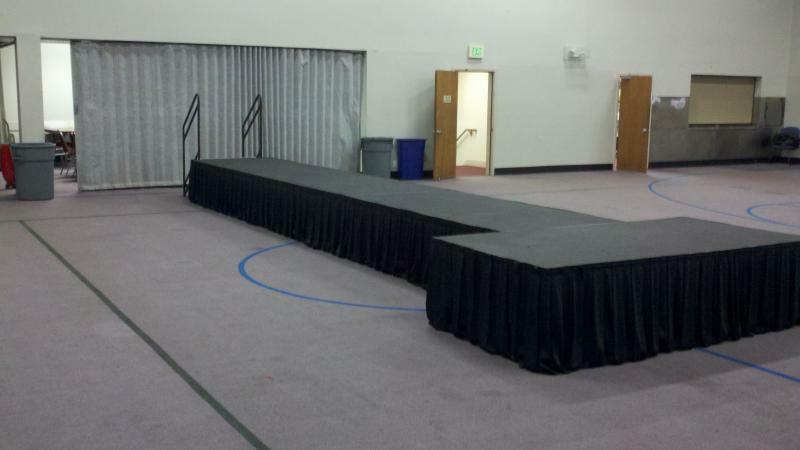 Need a stage ramp for your stage? 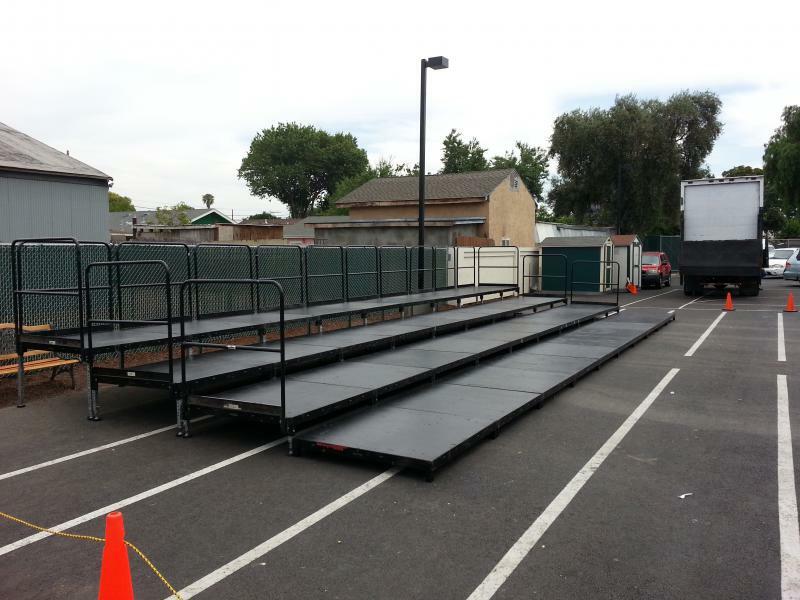 We offer ada stage ramps! 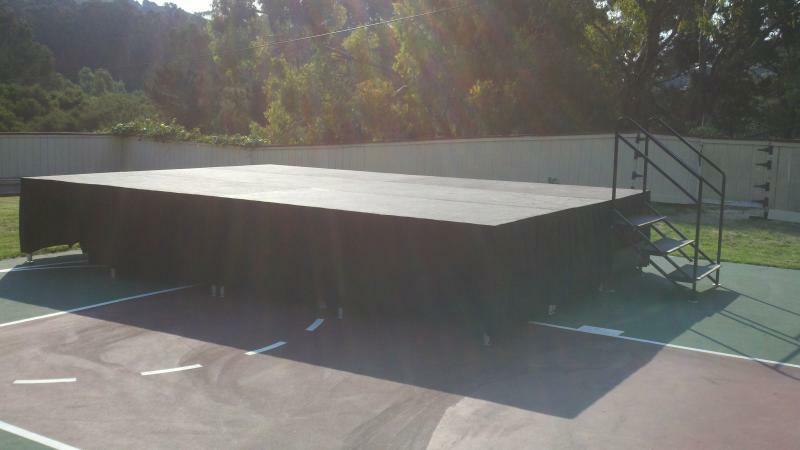 need a roof top for your portable stage rental? 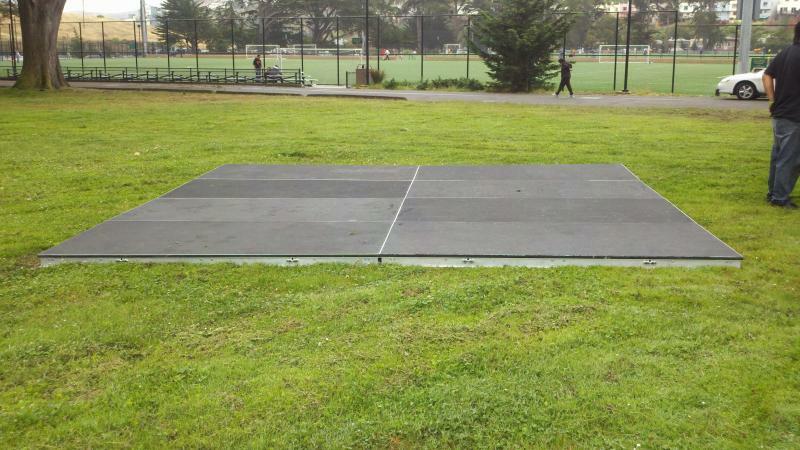 We can install a stage ramp to any mobile stage or permanent stage in the San Francisco Bay Area. 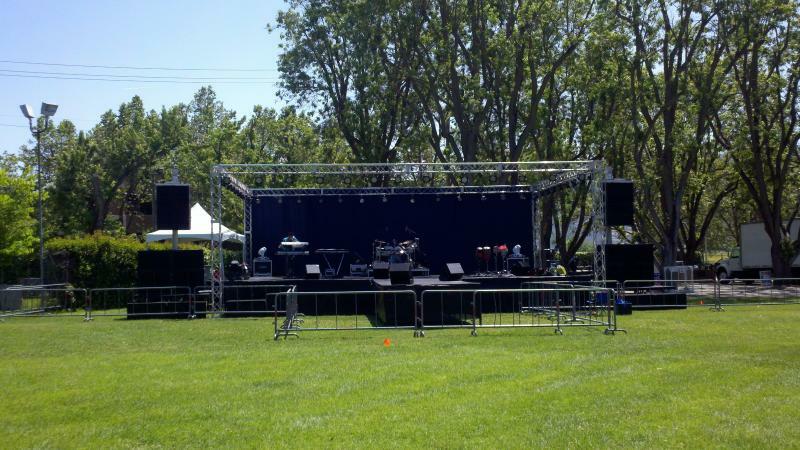 Stage, Lights and Sound can also save you money by renting a Pro Audio system or Audio-Video system to go along with your stage rentals. 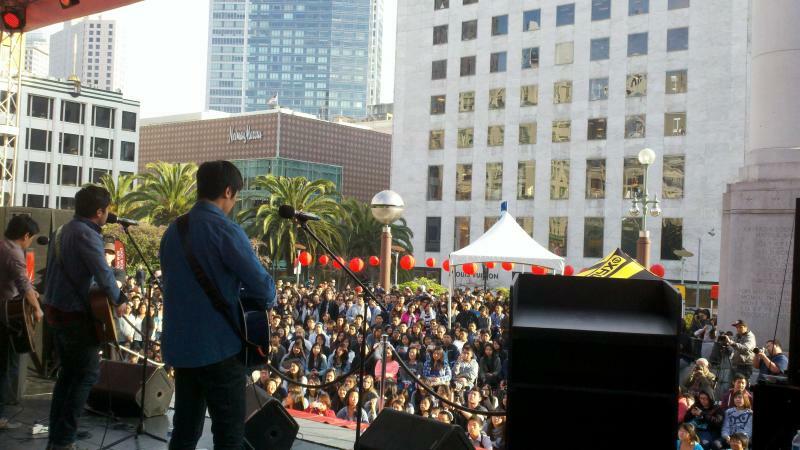 San Francisco stage rental and San Francisco concert stage rental is available. 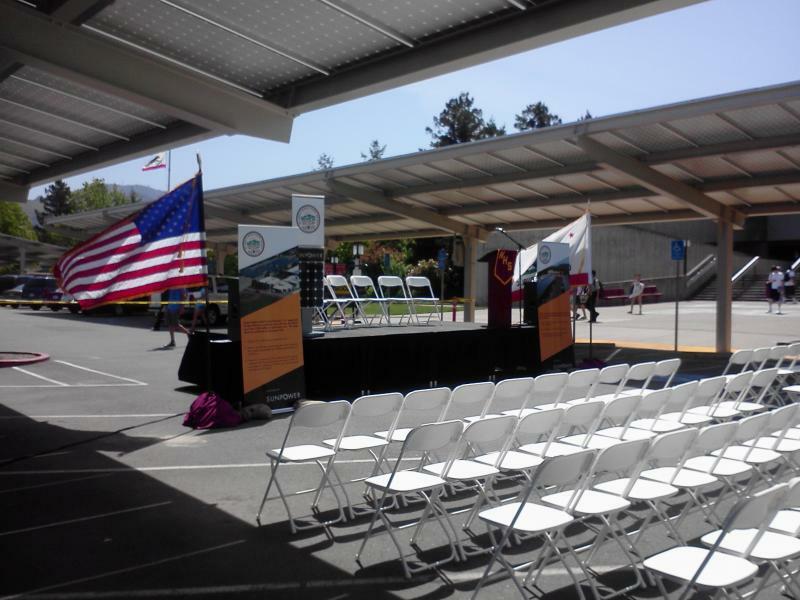 Contact us for your staging rentals, we deliver and install stage risers and platforms all over northern california. 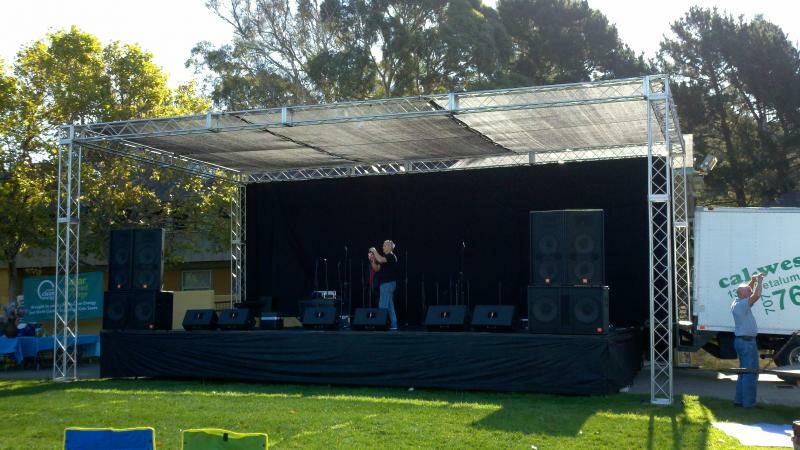 We can put together a small stage or concert stage to suit your needs. Our prrices are very competitve! 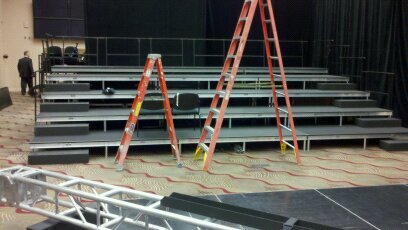 We also rent stage, risers, platforms, directly to you. 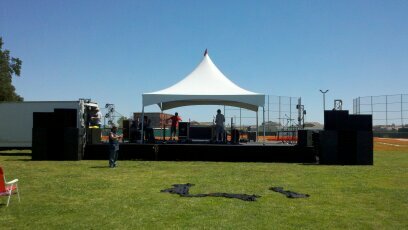 need truss to hang your lights or to install a shade canopy, ask us. 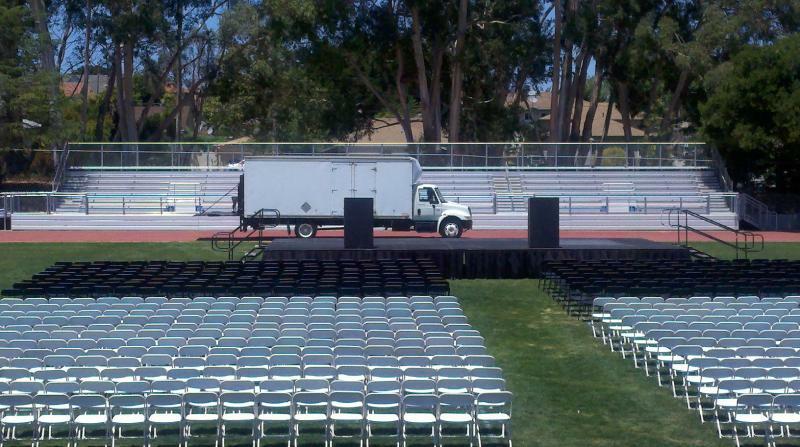 We rent stage risers to the San Francisco Bay Area.